Nutzbar in über 200 Ländern und das mit einer einzigen Karte und Telefonnummer. (SCHNELLE Lieferung der Karte mit Expresslieferung). Keine Verpflichtungen. Keine Verträge. Einmalige Gebühr. Porto is a historic city that has been described several times as one of the most beautiful cities in the world. The bustling city offers a successful blend of modernity and the splendor of bygone days. There are many well-preserved old buildings with spectacular architecture and Porto never gets boring. The nightlife with numerous bars and clubs is very well known. There is also a wide selection of restaurants and cozy cafes. Here is a comprehensive list of my favorite tourist attractions and things to do in Porto. Porto is the only place in the world where port wine is made, and like champagne in France, a product can only be called a „port wine“ when it comes from Porto and the Douro Valley. Nobody should miss a wine tasting in Porto. There are several wine cellars to choose from. I visited Croft, the oldest Port wine producer in Porto. The wine tasting costs 7 euros per person and includes samples of 3 different port wines – one rosé and two red port wines of different ages (5 and 10 years old). If you wish, you can also take part in a tour of the cellar (included in the ticket price), where you can learn more about port and production. Address: Rua Barao de Forrester, 412, 4400-088 Vila Nova de Gaia. An old but lively neighborhood on the Douro River. The area is characterized by narrow houses in cheerful colors, small streets and cozy cafes and restaurants. Here you will also find some of the wineries and wine makers of the city. The Zona Ribeirinha is full of people both during the day and in the evening. A nice place to watch the hustle and bustle or for a romantic dinner overlooking the river. Along the waterfront, there are also several stalls where craftsmanship and souvenirs are sold. One could say that it is a city in the city, as the two are connected by the famous bridge Ponte D. Luis I. In Roman times, the city was known by the name Cale Gale and it comes originally from a Celtic settlement, possibly even from the Stone Age. If you cross the bridge, you can see the monastery Serra do Pilar on the hill. From the monastery you have a fantastic view of the city. A bridge that has become a classic landmark of Porto, offering both great views and grandiose architecture. The bridge and its surroundings are a dream motif for photographers. The bridge takes you to the other side of the city, Vila Nova de Gaia, and you can either walk across the bridge or take the train. Cars are also allowed on the lower level of the bridge. There is a footpath on both levels. 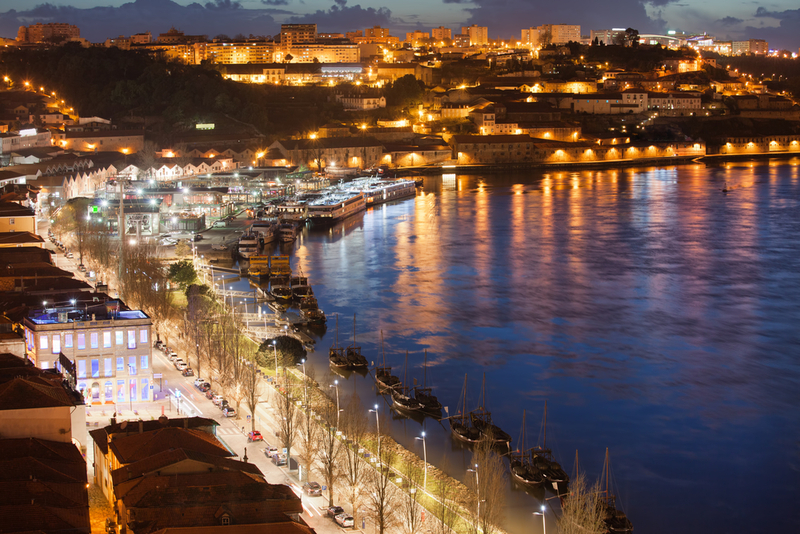 The nightlife of Porto is one of the best known in Europe and in the evening the city turns into a real party zone. The main party takes place at Rua Galeria de Paris and at Rua Cândido dos Reis, where most of the bars and clubs are located. For a quiet evening with good drinks, head to the Zona Ribeirinha, where you can enjoy a traditional Portuguese „fado“ (folk music bar). If you want to party all night, I recommend you take part in one of the many pub crawls organized by the various hostels in the city. Several companies offer boat trips on the river. Some take you to the Douro Valley, while others only cover a short distance. Highly recommended is a boat trip to the vineyards and wine terraces. Most boat trips that go there usually include either breakfast or lunch. There are several departure points along the river. It is not commonplace that a train station is one of the absolute attractions of a city. But Porto’s São Bento train station is really exceptional. 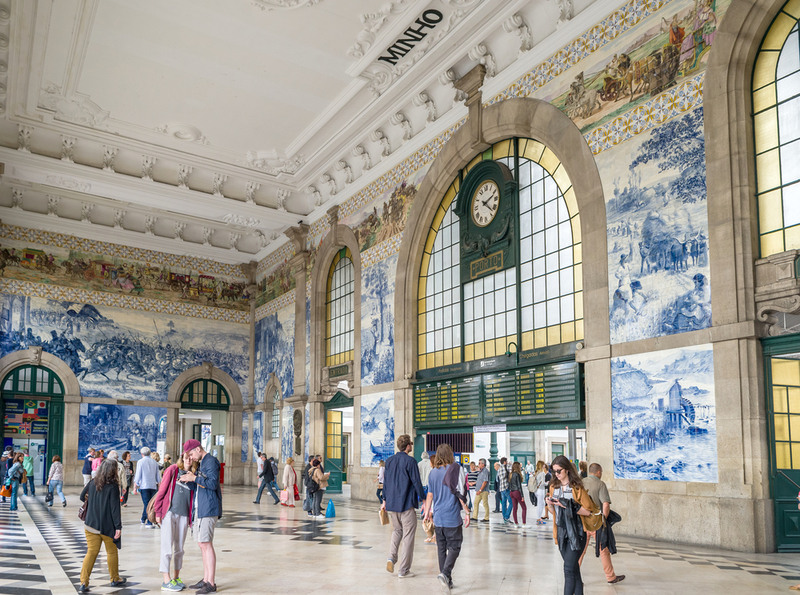 Thanks to the beautiful tile paintings and the historic atmosphere, this station has become a popular tourist attraction in Porto. And since it is the main station, there is always a bustle, which makes the visit even more interesting. From here, many trains travel to other cities in Portugal. Porto is a great city with many attractions and beautiful buildings, so it’s easy to miss something. The free city tour is ideal for those who do not want to miss out on anything. Of course, you can explore the city on your own, but sometimes it can be fun to learn more about the monuments and sights of the city, especially in such a historic city as Porto. In Porto you have the chance to watch FC Porto play. One of the most prestigious football clubs in Europe, which over the years has spawned and promoted many of the greatest football players of all time. So if you are in Porto during the Champions League season, you have a good chance of experiencing real European top football. The fans of the club are very dedicated and it is an impressive atmosphere to experience a live game and listen to the fans as they celebrate their team. A Portuguese football derby I can highly recommend – if the FC Porto against Benfica or Sporting Lisbon must compete. This bookstore has become famous for its spiral staircase and beautiful architecture. Even the author of Harry Potter was inspired here for the creation of Hogwarts. If you just want to take a look, the entrance fees are 2-3 Euro. Address: Rua das Carmelitas 144th. Greasy, delicious, impressive and above all incredibly filling is a pretty good description for the local court Francesinha. It is available almost everywhere, but it is best to visit a restaurant specializing in Francesinha. There are several variations, but most consist of bread, sausage, ham and a lot of cheese. You also get fries and a tomato and beer sauce as a side dish. The magnificent architecture of the Porto Cathedral is very impressive and the interior is full of beautiful ornaments and precious relics. The cathedral is one of the oldest buildings in Porto and dates back to the 12th century. But only in the 16th century, she received her present appearance. The building looks more like a fortress than a church, and from here you have a nice view of the city. Address: Terreiro da Se, 4050-573. It’s always fun to just drift in a new city and stroll through the area. 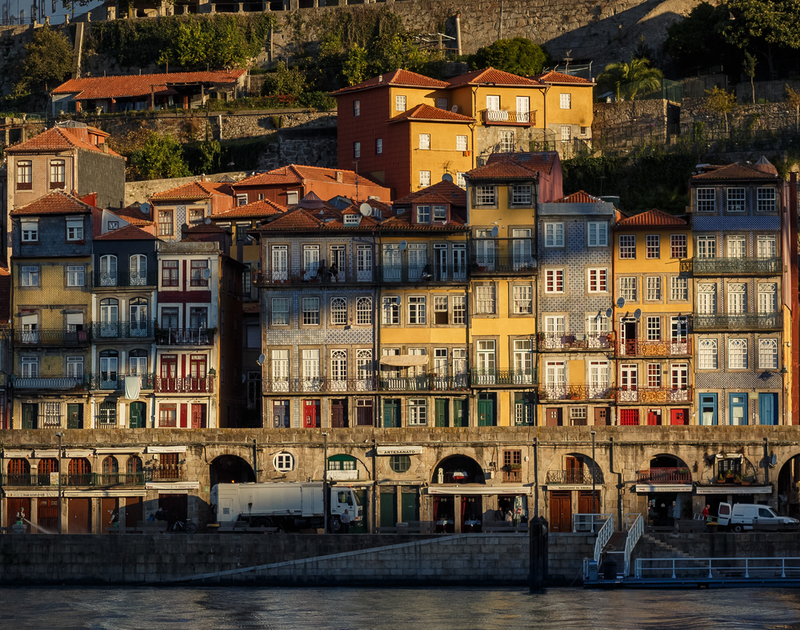 In Porto, it’s even more fun, because there are countless historic buildings and narrow streets with colorful houses to discover. No matter where you go in this city, it does not take long to find something interesting. The main shopping arcade of Porto is along Rua Santa Catarina, where the shops are lined up one after the other. In the middle of the street there is also a small shopping center. A beautiful church decorated with paintings and traditional blue pottery, also known as Azulejo. A visit to this church may not be an absolute must in Porto, but if you have time, or if you like architecture and beautiful buildings, you should definitely drop by. If you are looking for more adventure, you can go rafting, kayaking or canoeing. You can also swim in the blue lagoons and hike near Porto. Oporto Adventure Tours offers guided adventure tours suitable for different age groups. The bell tower of the Igreja dos Clérigos, near the São Bento train station, is the highest church tower in Portugal and a famous landmark of the city. From here you have a fantastic view over the city. Address: Rua de Sao Filipe de Nery, 4050-546. If you fancy music, the municipal concert hall is just the thing for you. Also, the building itself is worth a visit, because the architecture is spectacular. Address: Av. da Boavista, 604-610. North of Porto lies the industrial town of Matosinhos, which is best known for its delicious fish and seafood dishes. It can be easily reached by bus leaving from different locations in Porto. Certainly a fun experience, especially when traveling with children, but in my opinion there are more exciting activities in Porto and the ride on the cable car is not necessarily worth the money. The cable car is only 600 meters long and costs 5 euros per person for a single trip or 8 euros for a round trip, so quite expensive for such a short ride. But you have a great view of Porto and the Douro River. The entrance to the cable car can be found on the right as you go over the bridge Pont D. Luis I in the direction of Vila Nova de Gaia. Author: Alexander Waltner. Also known as Swedishnomad. With TravelSim you stay up to date in Portugal. Stay connected and share your travel photos with a 1GB data packet .